Home How To's 10 Tips for Staying Motivated! Define exactly what it is the you are going to accomplish and when you want to have it completed. For instance, “I’m going to write my autobiography and have it finished by my birthday.” Most of us work better if there is a deadline and just imagining it as completed will help motivate us. There may be a few of you who just want to keep working on it until time runs out and that’s just fine. You might want to define your project by saying how much you want to accomplish each month. List the reasons that you want to do this project. Was there someone that you lost in your life, who you wish you could ask a few more questions? Do you have stories that you want your children and grandchildren to know? Is your family history going to be lost if you don’t do it? There are as many reasons to do a personal or family history project as there are people interested in doing one. Understanding what your reason is will help keep you focused as well as motivated. Visualize the end. Imagine how it will feel when you’re done. Take a deep breath, smile, and feel the relief and accomplishment that will come. Think of how it will be received by those you love. Write about how it would feel if you don’t do it. This may not work for everyone, but sometimes the negative is as strong as or even stronger than the positive reasons for doing something. Imagine the worst outcome if you don’t do anything. Maybe your children will someday wish they could remember the exact stories you used to tell, so they could share it with their children. Not only would those stories be lost, but your son or daughter would feel a terrible void and disappointment in themselves. Maybe your grandchildren will never know anything about your parents. Whatever your worst-case scenarios if you don’t do your project, you can use them as motivation when you find your interest is lagging. Set mini goals. You can work this backwards from your completion date if you have set one. Say it’s six months until your birthday. 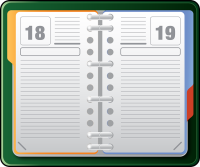 If you outline your memoir and realize you’re going to have 12 chapters, then you want to write two chapters each month. You can even break that down further and set weekly goals or daily goals. You might even want to set up some rewards for certain milestones! Schedule time for your project. Mark your calendar and treat it as an appointment. If you think you will work on it whenever you have spare time, you probably won’t meet your goals. Honor your commitment to this project and pat yourself on the back for doing so. If you find you’re having trouble sticking to your schedule, revisit your list of reasons why you are doing this project. Mark Your Progress. Create some type of checklist for your mini-goals and track your progress. You can use anything from a handwritten checklist to a checklist app like Any.do that can be used on your computer, smartphone, or tablet. Just make sure that it’s something that gives you a sense of a accomplishment. Join a support group. I don’t mean therapy, but it’s not as hard as you think to find others who are doing something similar. You can Google your city name and your topic to see if there are any groups that meet near you. If you’re writing an autobiography or memoir, you can search for something like ‘your city’ memoir group. I did and found a group that meets within a mile of my house. You can also go to MeetUp.com to find groups in your area. Very soon, we will be opening a private group on Facebook. Let us know if you are interested in joining us there. Have a plan for roadblocks. Chances are that somewhere in your journey, something will come up that you won’t know immediately how to handle. You need a plan for how you will deal with these roadblocks. If it is something that you don’t know how to do, ask for help. If you don’t know where to look for answers, ask us and we will do our best to get you back on track. If it is a question of whether to include something, you might decide to write it down and set a time in the future to deal with those issues. Whatever the roadblock, you don’t want to stop working when it comes up. At the very least, write down the problem and any possibilities for how to solve it and then move on to something else. If your roadblock is simply that you’re having trouble getting motivated, revisit #3-5 in this list! Adopt a positive attitude. Make sure the things you say to yourself are mostly encouraging and uplifting. Treat yourself as you would a good friend who needs motivating. Approach each session with a sense of purpose and knowing that whatever you accomplish will be worthwhile. 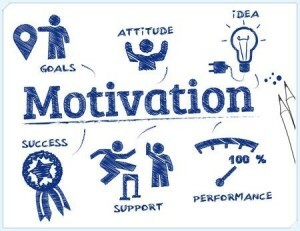 Hopefully some of these ideas will help you renew your motivation should it start to lag. What other ideas do you have for keeping yourself motivated? Let us know in the comments below.